With the clue in the name of the FTTH Conference and the organisation behind it in the FTTH Council Europe, it comes as no surprise that championing fibre was the order of the day (or two) at this year’s event, which took place in Amsterdam. 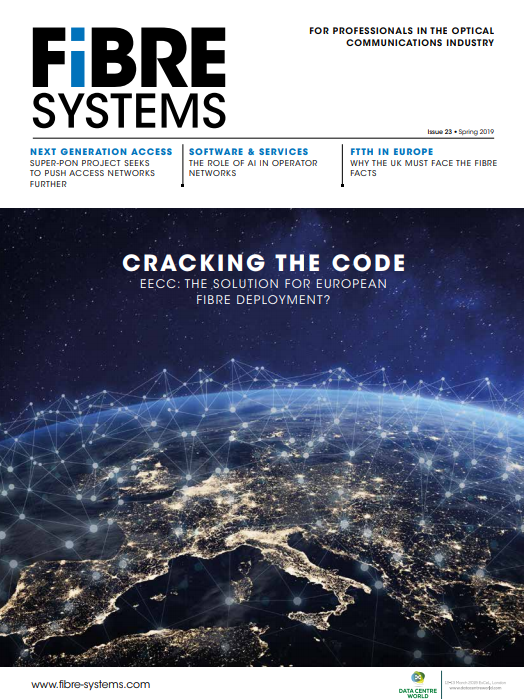 In his opening keynote, Ronan Kelly, president of the FTTH Council Europe, welcomed the publication of the European Electronic Communications Code (EECC), and paid tribute to copper as a pre-cursor to fibre before setting out the strategy of the FTTH Council Europe going forward. Looking at copper switch-off, Kelly stressed that ‘we must give up this addiction to copper,’ and the Council unveiled, during the conference, the results of a new study is had commissioned WIK to undertake. It analyses the different stages of copper switch-off in ten EU member states and identifies benefits as well as enablers, incentives, challenges and barriers to switching from copper to fibre networks. Amongst the key findings, there was something of a mixed picture across the EU, with Estonia, Spain and Sweden leading the way. Estonia saw some 70 per cent of copper exchanges closed in 2018 with plans to remove copper access for 60 per cent of broadband subscribers by 2020. In addition, the study found that end-users and fibre network operators alike would ultimately benefit from transition to fibre and copper switch-off in terms of reliability, energy efficiency and cost improvements. Consumers surveyed said that they were more satisfied with fibre (82 per cent happy vs 50 per cent on DSL), and they quoted higher bandwidth, a wider range of services and better value for money as key benefits. For investors meanwhile, the evidence of the study suggests that greater clarity on copper switch off could improve the business case for fibre. 5G was a hot topic at the event, and a further study was commissioned by the Council, looking at 5G-fibre convergence as a potential solution, in which operators could take advantage of the fact that there will be significant overlap between the coverage and footprint requirements of 5G and fixed access networks. 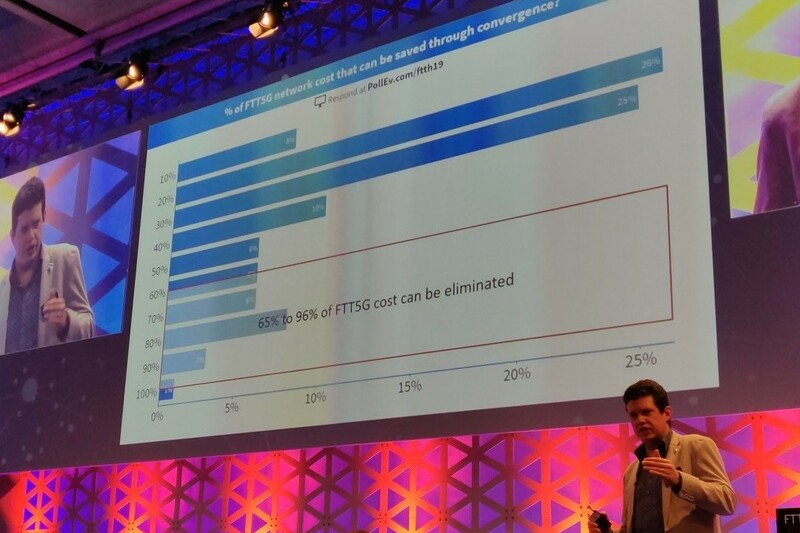 The convergence study itself was conducted by Comsof for the FTTH Council Europe and aimed to quantify cost savings that could be made if operators anticipate and build a FTT-5G network from the planning stage of rolling-out its FTTH network. It focused on underground fibre network deployments, considering three types of areas: Very dense (urban, city centre), medium dense (suburban, residential) and low dense (village) combined with three different types of cell densities. Comsof CEO Raf Meersman, who led the study, presented the results, saying: ’You can save up to 96 per cent of 5G deployment cost if you choose to deploy a converged network.’ He went on to explain that the extra investment on top of a FTTH network to make it 5G ready is in a range of 0.4 to 7.2 per cent. The scope of the study covers a greenfield underground scenario, which, said Meersman, is where cost saving opportunities are the highest. It is also achievable to leverage on a fibre network when it is already deployed, however. Considering that also important savings can be made in rural areas, even countries which are leading on fibre deployment still offer high saving opportunities.